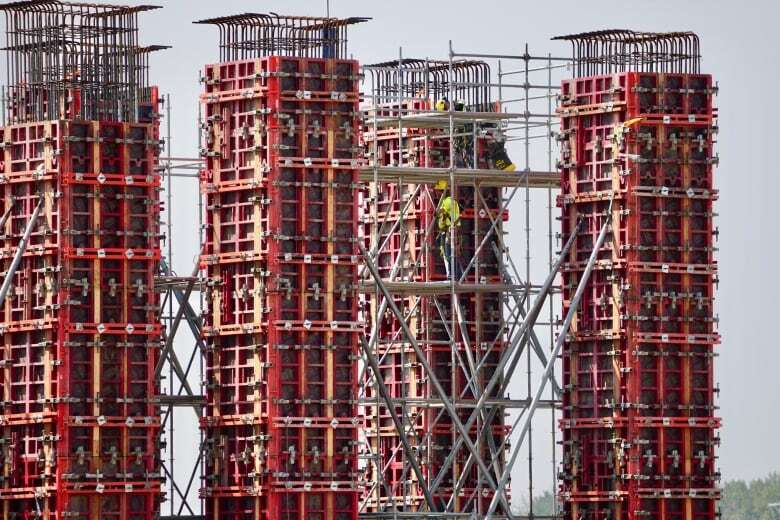 Work is well underway on a $3.5-billion petrochemical complex northeast of Edmonton — the first major petrochemical plant to be built in the province in nearly two decades. Industry analysts say there is good reason to believe there's plenty more investment on the way. 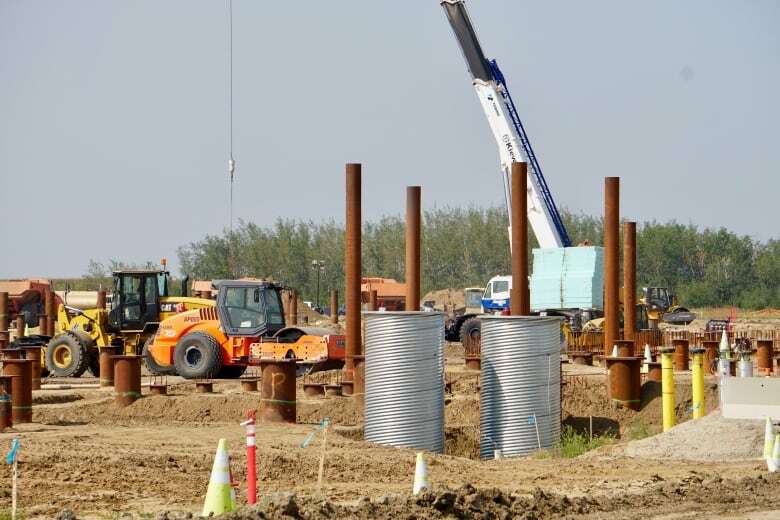 The truck traffic at Inter Pipeline's construction site northeast of Edmonton seems to never stop, nor does the work on the foundation of its $3.5-billion petrochemical complex. 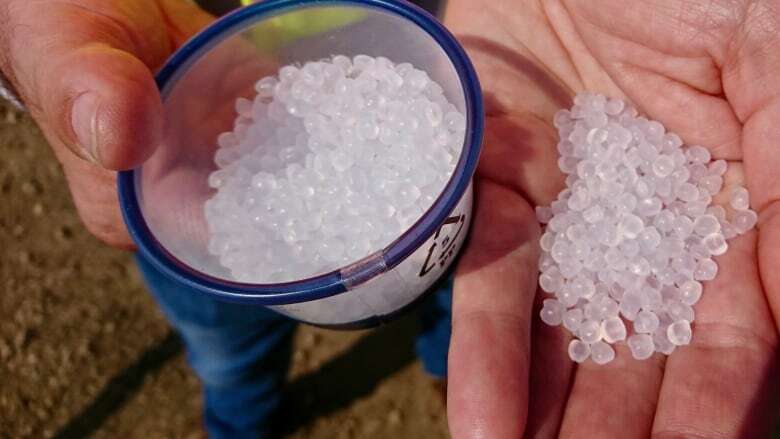 It's full steam ahead for the project, which in roughly four years' time will begin turning propane into polypropylene — a high-value plastic used in things like chairs, piping, medical equipment and rugs. It will be the first major petrochemical plant built in Alberta in nearly two decades. 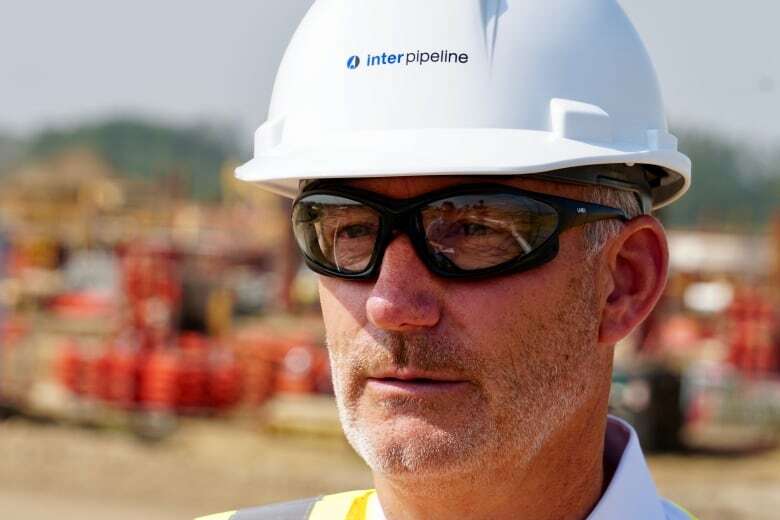 "Canada doesn't produce any polypropylene but we import about $1 billion a year ... so we're going to change that," said David Chappell, senior vice-president of petrochemical development for Inter Pipeline. "And that's important for Canada, to become less hewers of wood and drawers of water. Now, we'll actually add value." Canada's resource sector has taken its share of knocks recently as capital investment has raced to the U.S., enticed by the oil boom, tax cuts and loosening of regulations. Despite the stiff competition, Alberta is starting to stir up interest from the American petrochemical sector, thanks in part to its abundant supply of natural gas and some government incentives. Provincial and municipal officials in northern Alberta say they are being approached by international companies about potential opportunities in the region. Earlier this year, DowDuPont CEO James Fitterling told Bloomberg that U.S tariffs on steel imports might spur the company to look to Canada as the site of its next major petrochemical facility. For longtime followers of the sector, there's reason for optimism. "I think people are coming around and saying it's worth a second look now for the first time in probably 20 years," said Peter Tertzakian, an economist and executive director of the Arc Energy Research Institute. The worldwide petrochemical business has experienced strong growth for more than decade. Demand for end-use products like polymers, thermoplastics and synthetic fibres, particularly in emerging markets with rising standards of living, is helping to drive growth. Petrochemical products are replacing materials like concrete, aluminum, steel and cardboard. They make up nearly 100 per cent of the modern diaper and are used in refrigerators, washing machines and cars. Canada's petrochemical sector is clustered in Alberta, Quebec and Ontario, where Nova announced a $2-billion expansion project late last year. Alberta's petrochemical industry currently uses natural gas liquids, mostly ethane, as feedstock for making ethylene, which can end up in such things as flexible packing material, textiles and antifreeze. The province is home to four ethane-cracking plants, including two of the world's largest. Billions of dollars in capital investment were pumped into the industry over the years. But in the early 2000s, a lack of available natural gas liquids and sky-high natural gas prices hit the industry hard. Thanks to advances in technology, Alberta now has access to massive amounts of natural gas (and gas liquids) at some of the lowest prices in the world. "We're in a new era and the realization is starting to finally set in," Tertzakian said. The development of the massive Montney and Duvernay formations offers a vast supply of natural gas to provide energy and raw materials for petrochemical plants. 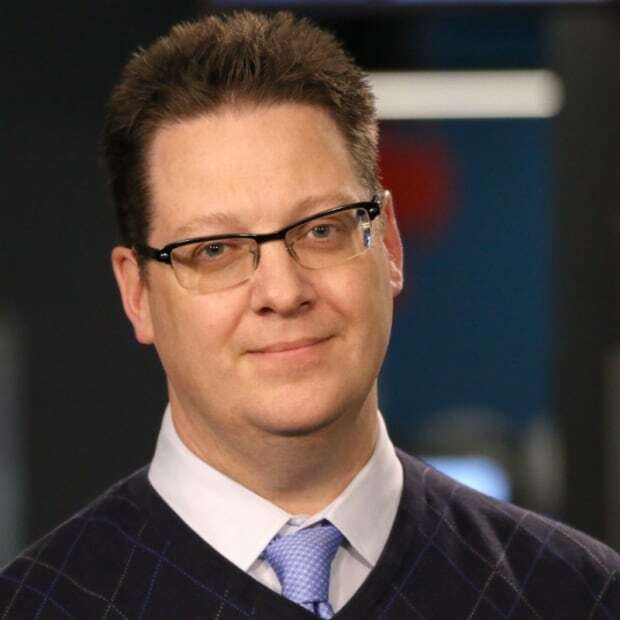 "The Alberta opportunity is strikingly very similar to what's happening in the U.S.," said Stephen Zinger, author of a recent report by international energy research firm Wood Mackenzie on petrochemical opportunities in Canada. "When you're looking into the Montney play and the deep basin Duvernay, there's a lot of development to be had there." This map shows where the Montney oil and gas play is located. Provincial incentive programs are also part of the story. In 2016, Alberta's Petrochemical Diversification Program, which offered $500 million in royalty relief incentives, attracted 16 proposals worth $20 billion. Two were selected, including Inter Pipeline's project. In March, the province revealed another round of royalty credits for methane, ethane and propane, as well as loan guarantees and grants for additional feedstock recovery projects. Zinger said the incentives should help Alberta compete more quickly with the U.S.
"Effectively what this is doing is accelerating these projects by a number of years," he said. All that said, Canada still has some hurdles in competing with the U.S., Zinger said. For one, capital investment costs to build plants are higher in Canada. But provincial and municipal officials in Alberta believe they can compete. 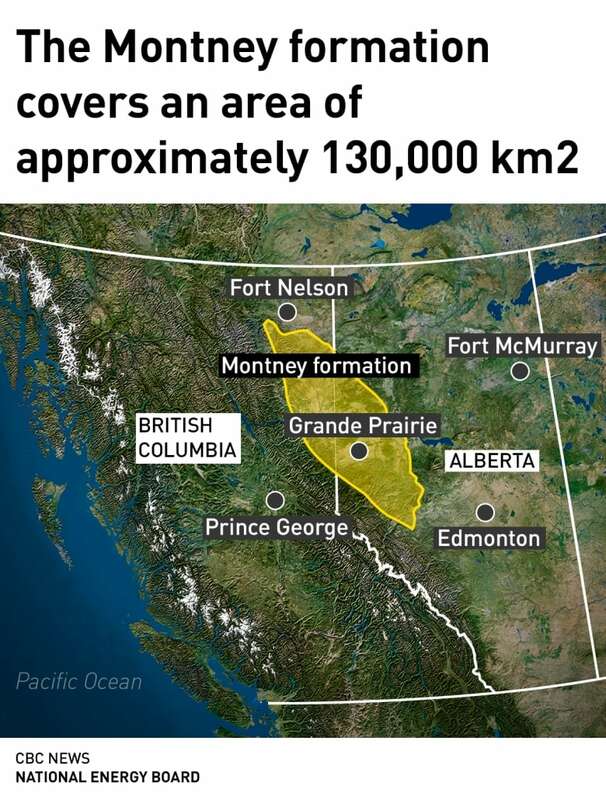 Brian Glavin, head of economic development for Grande Prairie in northwest Alberta, said the city has been contacted about regional efforts to develop an area south of the community for petrochemical production. "It would be in the billions-of-dollars scale of development," Glavin said. "If you look at the Alberta Industrial Heartland in the Edmonton area, that would be an ultimate ambition ... to be able to attract that level of investment." Alberta Energy Minister Marg McCuaig-Boyd said she's heard a lot of interest in what's happening in Alberta since visiting Houston earlier this year. "We know that Alberta, in the upfront costs of building, we're a little bit more expensive," she said. "But we do know that once we're operational we can go toe to toe with anybody, especially in the Gulf Coast."